At our November monthly meeting, I asked members who would like to be our next web ‘profile of the month’ and share their story about how they fell under the spell of orchids. The strangest thing happened because almost unanimously they called out ‘Jody Cutajar’! Jody is known to many of us around the orchid world and with Royale Orchids’ Laelia purpurata Show and Orchid Auction on this Saturday 8 December, the timing is prefect! I started growing orchids in Victoria back in 1985 at the tender age of 16. My first orchid was a reed stem Epidendrum or Crucifix Orchid which I bought at a flea market and from there I was hooked. Like most people I started collecting anything that was an orchid with little regard for the requirements of the plants which lead to many slow deaths and some successes. I was fascinated with these plants and wanted to find out more about ‘orchids’ so I went about learning as much as possible. This was mainly achieved through the resources of public libraries where I gleamed as much information as I could and where I came across a fantastic set of six books written for Australian conditions by Jim Rentoul. These books became my bible and my orchid collection started growing as the knowledge of my conditions and capabilities expanded. I was lucky enough to make contact with some of the most fantastic orchid personalities of that time such as Phillip Altmann of Warnambool Orchids, Clive and Agi Halls of Mt. Beenak Orchids, who are still in operations to this day, and the most amazing Gerald McCraith who specialized in marvellous miniature species and Odontoglossums. From these growers and many others, I added to my collection. 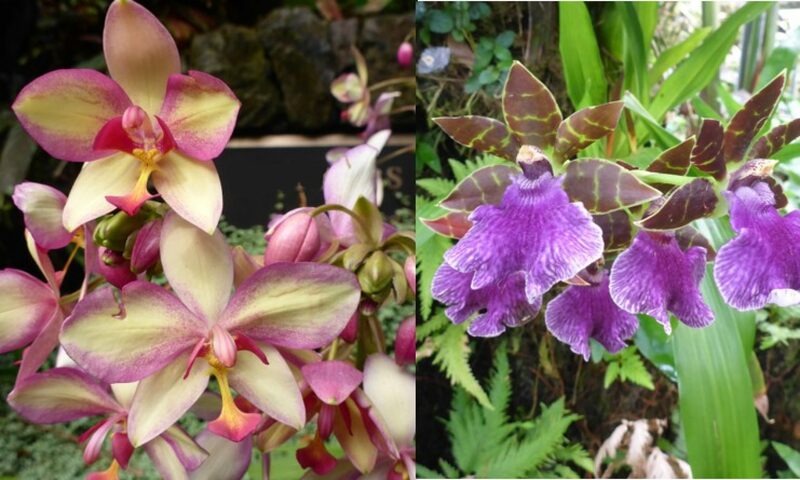 Once I got my driver’s licence, I joined an orchid club and started exhibiting my plants and expanding my group of orchid friends with whom I swapped, traded and shared plants. By the time I left Victoria to move to NSW in 1997 I was a member of five different orchid clubs, was an OSCOV Judge and had amassed a collection of about a thousand plants. When I moved to NSW I started working with Kevin Hipkins at Royale Orchids. Along with working in the nursery, Kevin sent me around the world to attend orchid shows and events selling and buying orchids for the nursery. During these trips I was always able to make a few personal purchases which added to my collection. Today I grow mainly species orchids in my two green houses, each 15m long and 3m wide. I love having several examples/varieties/forms of each species that I grow and I have been lucky enough to have collected numerous awards for my plants along the way. I really love my plants but the friendships that I have made along the way are more valuable than the plants will ever be!